Diwali is very near by and i hope everybody finished their Diwali shopping or doing still. I finished my Diwali shopping very simple. I just got an Ethnic wear Salwar suit, beautiful Jhumkas and some Maybelline goodies. Usually I do shop for Diwali before one month, it is because I am allergic with crowded stores. This time it was bit late but thank God there is not much crowd in the shop. I went to Reliance trends for Diwali dress purchase, which is nearby my area. We took dresses for our whole family there itself (me, hubby and my kid). The another day we went to a mall Vijaya Forum Mall which is nearby my area. There I bought this beautiful Jhumkas in a exhibition over there. In the health and glow shop I bought Maybelline colour show nail paints, Maybelline Hyper curl Volume Macara. I got a Nail art brush free for the Maybelline colour show nail paints which I bought. They said if you buy 4 nail paints you will get this nail art brush free, so I bought 4 shades. They are Porcelain Party, Choco sin, shocking seas, Silk Stockings Shades. I have Bold Gold and Denim Dash already (sent by PR). Also I bought Downtown Red in the other day which is missing in the pictures :(. I will do a separate post for this cuties one day. I love Maybelline cosmetics the way they are affordable with good quality. This Hypercurl volume mascara is my HG mascara. The Nail paints!!! I no need to say about them as they became very famous in this beauty blogging world for their quality and beautiful shade collections. I am feeling happy that I got a nail art brush as a free gift. I picked up the the Yardley Lavender soap also their in the shop. I was searching dresses there like a crazy girl (you know what happens when a girl inside a dress shop which has wide range of beautiful dress collections) in the shop. I selected six set of dresses and did trial, finally chosen this dress lols happens ;) . My hubby started looking at me like "will you move from the shop or what?" hahaha :). So Girls what about your Diwali Shopping experience??? Nice haul radha..I got the same blue nailpaint! lovely haul dear! 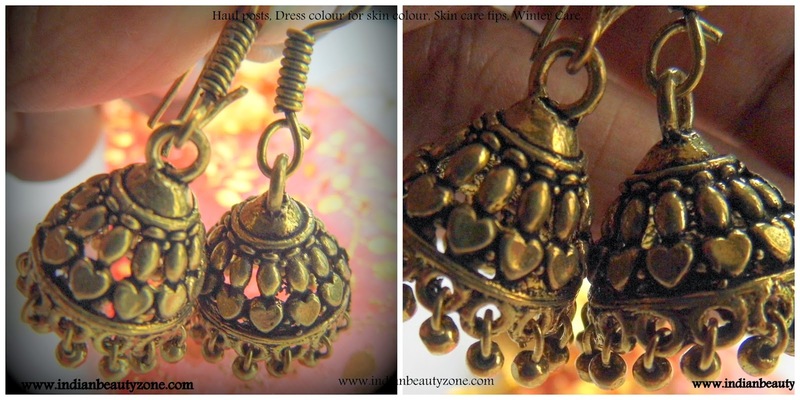 and those jhumkas are to die for! Lovely dress and beautiful Jhumki Radha. nice haul dear and I like the jhumkis which has been given in a cute pouch also wish you a Happy diwali in advance. Woe you sure got a lots of goidies. Lovely haul Rads. I too love yardley soaps. Waiting for the nail colors swatches! I am busy doind Diwali shopping too..
Nice and a lot of purchases.. I love all the nail colors...! And I just love jhumkas, I have them in all the colors - silver,golden,red,black.. Haha! Happy Diwali.... Have fun! Great haul Radha <3 Loving the nail paints!!! What a lovely haul! I am so liking the nail colors and your apparel collection seems really nice. 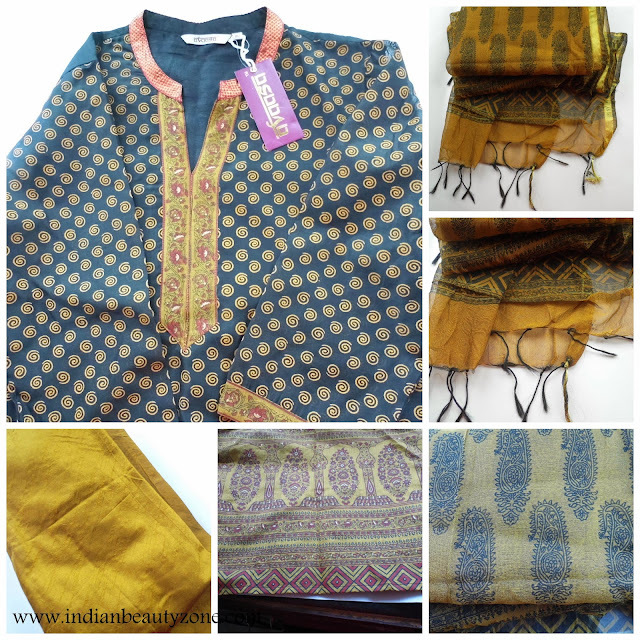 I love wearing ethnic because they are so comfortable in the sultry summers! Im loving all the maybelline nail paints and thedresss prints are so pretty!